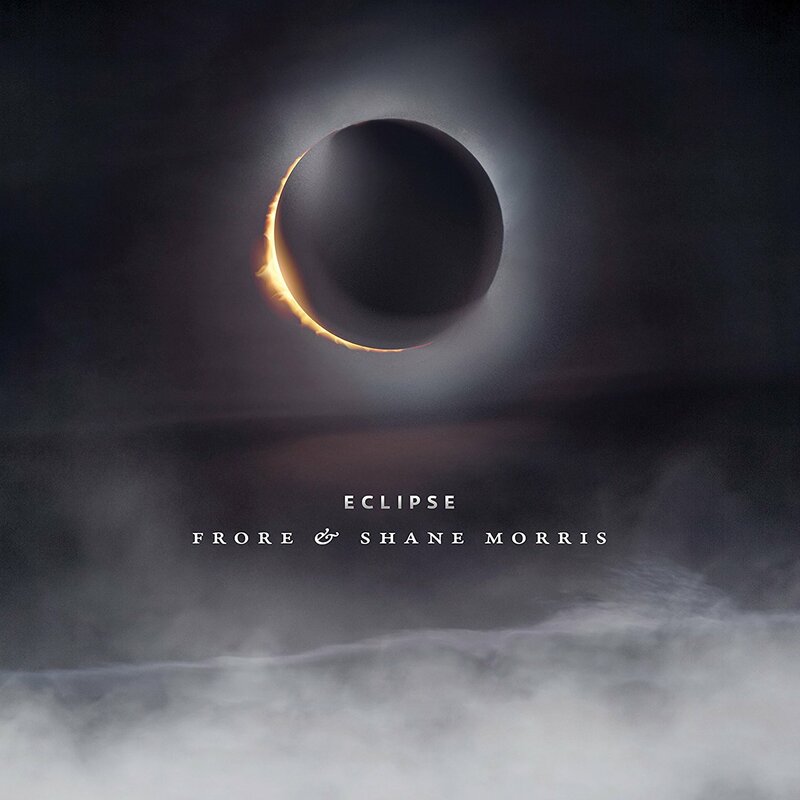 Frore is Paul Casper, a self-taught electronic musician from Virginia; Shane Morris is a multi-instrumentalist who composes ambient, electronic, and world music. On Eclipse, as they did on 2015's Blood Moon before it, the two colaborators explore dark, primitive, and mysterious atmospheres that are at once cinematic and adventurous. Centuries ago, long before Earth’s place in the universe was understood, early civilizations would look to the skies for enlightenment, insight, and guidance. The movements of the stars, moon, and planets were tracked, predicting the seasons and measuring time, and observing the celestial sphere was an important endeavor that impacted peoples’ lives, religions, and cultures. Imagine then, the importance of an eclipse in those times. The eight tracks here take the listener back to those early times, perhaps to life on the American plains in pre-Columbian times, observing the cycles of the sun and the moon and the changing seasons. The dreamy and atmospheric nature of the music, along with sparkling textures and trance-inducing percussion, brings a meditative spirit to the work at hand that needs to be heard to be understood. Instruments include a global array of sounds including ethnic flutes, djembe, frame drums, shakers, singing bowls, didgeridoo, udu, gongs, as well as electronic drums and more, as well as analog and digital synthesizers and sequencers. The result is a rich and organic experience along the lines of specific works by vidnaObmana, Steve Roach, and Byron Metcalf. Here, primal and modern elements blend into a mysterious kaleidoscopic soundworld that reaches into the power and energy that primitive societies understood well.